For a small fish in a big pond, Virgin Games has been making quite a splash in the gaming community. Developing a herd of followers in a short space of time, Virgin Games is quickly becoming the go-to casino app for a lot of players. There are very few things that Virgin touches that doesn’t turn into a success story, and with the Virgin Games Richard Branson has once again bestowed the Midas touch. Virgin offers smooth, uninterrupted gaming that can be enjoyed in your browser in HD graphics. The casino has all the hallmarks of the Virgin brand. In other words, the colour red features quite prominently and because Virgin has partnered itself with Gamesys, NetEnt, IGT, High5Games, Hasbro and Williams Interactive, it’s assortment of titles are varied and of the highest quality. The software providers backing the Virgin Games have all had extensive experience in either the land-based or online environment, and in some cases – both. With such a wellspring of knowledge and experience, the software providers powering the Virgin brand are able to empower the casino with casino games that appeal to the imagination of the public. Many of the games on offer are intellectual property licensed titles, and this means you’ll be able to enjoy mobile slot gams like The Godfather™, Kiss™ or Ghostbusters™. If it’s blockbuster-inspired gaming apps you want with blockbuster-sized wins, then you’ve got to give the Virgin Games ago. Banking is easy with Virgin Games too. Choose from a host of withdrawal and deposit options like Visa, MasterCard, Maestro, PayPal, Skrill and Netteller, all of which have digital encryption and 3D secure systems that are in place to protect your money and your personal details. As is often the case with a casino app’s banking options, some are solely for depositing, some for withdrawing and some for both functions. When it comes to banking options that will offer mobile casino players the benefits of both deposits and withdrawals, then the brands and services to make use of are MasterCard, Neteller, Paypal, Visa and Skrill. Currently Virgin’s best banking options for its players are Visa, Neteller and MasterCard. If you haven’t played at Virgin yet, it would be advisable to establish a Neteller or Paypal account. 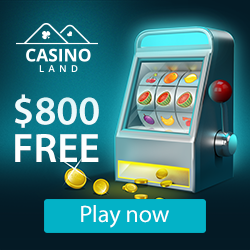 Both offer great versatility that extends well beyond the realms of digital casino gaming. Both are incredibly safe, private and can be used for budgetary purposes in terms of making them the exclusive keepers of your casino funds. If you have any questions about any of the services provided by Virgin Games, you can contact their friendly and professional support staff at your convenience. Virgin offers some really exceptional customer service. Friendly staff will assist you via email, phone or live chat. Virgin also offers 90 Ball Bingo to its clientele as well table game classics like Atlantic City Blackjack, Single Zero Roulette, Vegas Strip Blackjack and Baccarat. Virgin Games offers a payout rate of 96.7% which is a very decent industry standard. The Virgin Games is quite bold in terms of its welcome bonus which it claims in bold writing on its website is REAL cash and not bonus cash. It’s still a deposit bonus/offer, which means a deposit will be required. However, it’s safe to assume that if Virgin is saying that it’s real cash, it would mean that your bonus money will not come with any wagering requirements. Virgin also offers up many other hip and happening offers, many which will change regularly as they are constantly updated. What seems to be constant though would be their Refer a Friend offer, their loyalty points which they call V-Points and their VIP Experience which promises players better deals.